At iMaxAlarm, we care about your safety. Our goal is to enable everyone with the ability to take safety and security into their own hands. We designed a sleek, yet simple and affordable solution that works for all ages. 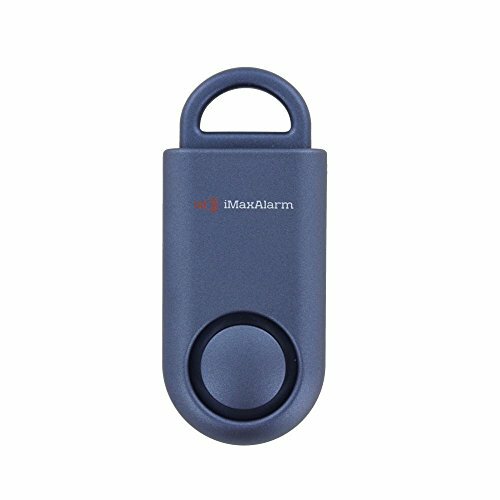 The iMaxAlarm SOS Alert is an easy to use personal security device. A simple pull from the top of the device will sound a loud, ear piercing 130 dB alarm to draw the attention of persons around you and indicate an emergency situation. The SOS Alert device comes ready to use right out of the box and has a continuous run time of 30 minutes. The alarm can be easily turn off by re-inserting the top. It also includes a carabiner and lanyard for wearing around your neck or for attachment to your purse, keys, or backpack, and more.